Loco type 4 tender engine 2-6-0 no. 76005, leaving Fratton station empty for sidings after working a passenger train from Eastleigh on the evening of July 7th 1967. 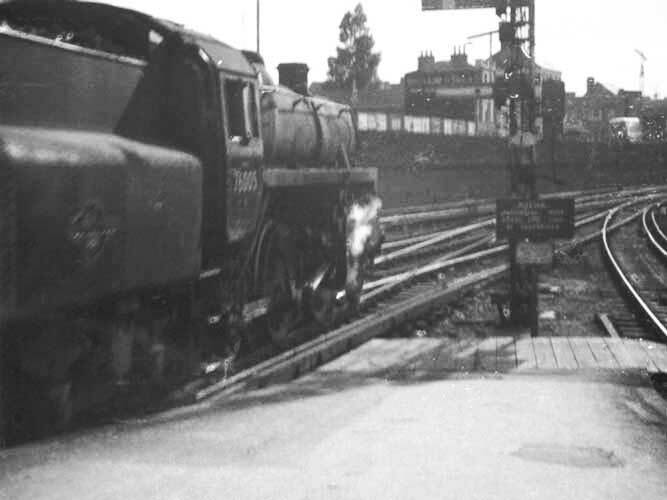 This was one of the last regular passenger steam train workings on the Southern Region.